David Gilbraeth question: Do you sell all types of commercial heaters, and which would be the best for my 100 square metre vehicle servicing bay? Answer: The ideal heater for the servicing bay at your garage premises would be a Clarke Devil 850 Propane Heater heater, so long as you have adequate ventilation. However, we also sell a full range of fan heaters, ceramic heaters, diesel heaters and halogen / infra red heaters. Delivery to mainland UK is usually next day if ordered before 2:30pm. Joe Taylor question: I am a bit confused about the variety of swimming pool heat pumps in the marketplace. Could you please explain the different types and what they are for? Answer: Yes, there are quite a few makes and models out there. We at Saturn Sales would personally recommend the HydroPro range of heat pumps, which basically come in three types. The HydroPro Eco range is solely for use with above-ground pools, and is for heating pools from June to September. The HydroPro Standard range is for below-ground pools, operate down to an outside temperature of -5°C, and are for pools that are generally used between April and October. Finally, the HydroPro Premium+ range are for below-ground pools, operate down to -10°C, and can be used throughout the whole year. There are different size models within each range, dependent upon the size of your pool. 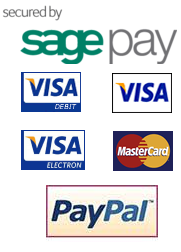 If you need any assistance on deciding which one you need, just call us on 0161-485-5588. Paul Lewis question: I have a large workshop and a small distribution bay, both of which are open to the elements. Do you sell heaters that can accommodate both scenarios, as my workers are beginning to feel the cold? Answer: Yes, we sell a variety of gas propane heaters to suit most sizes of industrial and commercial properties, and some are on special offer at the moment. This type of heater would be ideal for your particular environment. Sarah Smith question: I had an air-conditioning system fitted at home about 4 months ago, and I have noticed that it is leaking a bit. Should this happen? Answer: No, there should be no leak from this type of system. Condensate water will be produced from the system, but this normally ejected from the drip tray at the bottom of the indoor unit via the drain installed by the engineer. This drain works on gravity, and so we can assume that at some point your condensate drain travels slightly upwards. The solution is simple - you just need to install a small condensate pump. If you contact us we can discuss the various pump options open to you, all of which are usually in stock. Campbell McIntyre question: I run a park home and holiday lodge business in South West Scotland and I am looking to install new heating systems into some of my lodges. Would wall-mounted ait-to-air heating systems be a viable alternative to a costly gas-fired central heating option? Answer: The simple answer is "yes". These systems are economical, highly efficient and easy to install. A 3.5kw single system would suffice for the vast majority of lodges or park homes, and simply comprise of one outdoor condensing unit servicing one high wall-mounted indoor unit. We would recommend the Mitsubishi SRK35ZM-S systemas an ideal system for your purpose. Furthermore, there are added benefits to these systems in that they offer cooling in the summer months, and include a dehumidifcation function so that you can avoid condensation in the winter. Leanne Johnston question: Do you sell heat pumps for all kinds of swimming pools, as we have an above-ground pool at our holiday home in the UK, and the standard immersed pool at our villa in France? Answer: Yes, Leanne. We sell a range of swimming pool heat pumps that will cater for both scenarios. The Hydropro Eco range are particularly apt for above-ground pools as they are basically a summer-only heat pump. The standard Hydropro range are suitable for use between spring and late autumn, and work to an outside temperature of -5*C. The premium Hydropro+ range are suitable for all-year-round use, working to an outside temperature of -10*C.
Susan Giles Question: We are interested in installing an air source heat pump for our conservatory mainly for heating. We tend to go away for weekends and wondered if any models have timer facilities on; as our cat lives in the conservatory whist we are away? Answer: Hi Susan yes most models have timer facilities built in but some are more advanced than others. The Fujitsu range of wall systems for example give you the ability to programme one on and off time so the system will turn on and off at those times every day, until the timer is cancelled. The Mitsubishi SRK35ZM-S has a more advanced multiple timers built in and can be programmed with up to four different on and off times over a weekly period. Both these manufacturers however have a facility built in that might be useful in your situation, which is the ability to set the system to a low temperature control of 10°c. This means you save electricity on running cots with the conservatory never gets to cold. Jeff Banks Question: I have a 60 square meter industrial unit that we use as a workshop can you suggest a suitable fan heater that we can use? Answer: There are couple of things that you need to check with regards to which heater would be suitable. Probably the first thing is if there is 3 phase power available in the building. For the size of your premises you would need heater of at least 6kw power, all models of this size will be 3 phase power models. You could either install something like the Clarke 6003 heater, these are single phase power and you would require two. If 3 phase power is available look at something like the Clarke 6009 heater, this model is rated at 9kw so gives you a bit of spare capacity should it turn really cold. James Harris Question: I am looking to purchase a couple of the Mitsubishi SRK25ZMX-S heat pumps for my house, heating is main priority but can I put one of the outdoor units in my loft area? Answer: Good question James, it depends is the honest answer. With split type heat pumps whatever the indoor unit is doing the outdoor part will be doing the opposite. So if you have the indoor unit in heating mode cold air will be blasting out of the outdoor unit and visa versa? If you have reasonable ventilation in the loft area you should be OK especially as heating is you primary reason for buying the system. Problems normally arise when you want to install the outdoor unit in the loft mainly for air conditioning. For instance on a hot day in a loft area with little ventilation, the temperature can rise easily to 40 °c. You then go turning the air conditioning on downstairs. The outdoor unit located in the loft will expel out hot air into an already hot area, which can quickly rise in temperature causing the outdoor unit to trip out with an over temperature alarm. Donald Simpson – We have a 1500 sq feet workshop and are looking for some form of electric heating for the winter, any recommendations? Answer: Hi Donald for that size of workshop you will need a heater of between 10 to 15kw to provide a reasonable level of warmth. If you have 3 phase power in the building you can go for a 3 phase heater, models such as the Clarke Devil 6015 heater which gives out 15kw of heat. However if you don’t have the 3 phase power supply you will need to pick smaller heaters that run of the standard 240V mains power supply. Just keep in mind you may need to fit a larger circuit breaker circuit breaker if you are going to use the 240V mains supply type of heater. Derek Davies Question: I want someway of economically heating my conservatory, what would you suggest? Answer: Traditionally most people fitted a radiator in the conservatory when building it that was plumbed into the house central heating system. This is fine but you need the whole heating system on and it does not offer cooling in the summer months. A single split heat pump - aircon system is an ideal solution, be it one with either a low or high wall indoor unit. Because of the general lack of insulation in a conservatory use or our online calculator to work out how much cooling and heating power you require, then go to the next size model up. This will ensure you have enough heating and cooling power to be able to keep the conservatory at temperature all year round. John Steven question: We presently have a swimming pool that is heated by an electric element heater. This is costing us a fortune can you suggest another way to heat the swimming pool? Answer: Yes John, traditionally swimming pools was heated by either oil heating or electric only which has become a very expensive way of heating over the years. There are a number of manufacturers who make pool heat pumps these work on the same principle as heat pumps used in house heating. The water flow is higher and the temperature lower. There are a number of factors you need to take into account however in determining the correct model to use. Factors such as the size of the swimming pool, what part of the year it is going to be used in will need to be taken into account. As a starting point we have data table on the website showing which size of swimming pool heat pump is suited to a particular size of swimming pool. David Walsh Question: We have a requirement for ventilation in a building site, are there 110 volt fans available that you sell? Answer: Yes there are a couple of manufacturer’s fans that are available in either 240 volts or 110 volts. For a building site environment we would recommend either the Broughton MB30 or MB50 fan. These are available in 110 volt versions. These fans are designed for more industrial environments than the domestic models that we sell, so would be better suited for use on a building site. Alison's Question: We are looking to get air conditioning installed in two bedrooms but we do not want white wall mounted units are there any other options? Answer: Hello Alison most manufacturers wall units are white however there are a couple of manufacturers that offer different colours. There is a Mitsubishi range called the Zen models for instance, these are available in silver and also black. Another option might be the LG mirror range this is available in a slate grey finish. James Galbraith Question: I have looked at some of the brochures on your website for wall mounted heat pumps and they mention a refrigerant charge, what is this? Answer: All manufactures systems have what is known as a refrigerant charge in the outdoor unit, this is held in a receiver vessel typically enough charge for 10 meters of pipework. The system in this case can have 10 meters distance between the indoor and outdoor unit. Any longer physical distance between the two would require extra refrigerant to be added to the system as per the manufacturers recommended amount, which is measured in grams per meter. Are you struggling to decide which system best suits your home or business premises? Are you confused by all of the different models? Do you have a specified budget to work to? Do you need further assistance on the type and size of system to install? Then call us today and we will be only too happy to help and advise. We sell a large range of systems from most of the major manufacturers, with delivery usually within 2 to 3 days from placing the order. We are happy to talk through the various designs with you, to ensure that you make right choice before you buy. Here at Saturn Sales, we take pride in offering the best choices in air source heat pumps, coupled with excellent customer service. We have air source heat pumps for domestic and commercial properties alike, in a range of styles and boasting a range of features. So, whatever your needs, why not let us cater for them? When it comes to buying dehumidifiers, you’ll want to be sure that your investment is one which is functional, reliable and of top quality - and this is precisely what we provide. We ensure that we offer only the very best in dehumidifiers, so whether you need something for the home or for the office, head to us. With such a superb selection of pool heat pumps here at Saturn Sales, whether you’re looking for a 7kw or a 30kw pump, look no further. We aim to not only provide some of best swimming pool heat pumps around, but we also aim to provide an unrivalled level of technical customer service, so call us today to discuss your needs.